Update: HTC has officially denied the veracity of this rumor, and stated that it has no plans to discontinue use of Beats Audio in its handsets. Original Article: I don't like Beats. You probably don't like Beats. 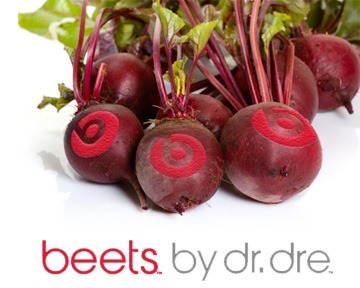 In fact, it's really, really easy to not like Beats. According to news site MyDrivers.com, HTC might not like Beats anymore, either. After ditching bundled Beats earbuds in April, and then selling 50% of its stake in the headphone and, uh, sound enhancement company, industry sources (yeah, yeah, we know how that goes) are saying that HTC is going to drop Beats Audio from its handset lineup entirely. And to HTC, if this is true, I say: Thank You. In fact, that's most of the reason we're posting this story - because we really, really hope it's true. Beats Audio is nothing but equalization software. It changes the shape of your music in the same way apps like PowerAmp or any one of a number of free options can. The fact that HTC pays money to license it for use on their phones is sad, more than anything else. Hell, HTC has to know that all it's really paying for is a logo and a ride on the Beats marketing hype machine. It probably seemed like a good idea at the time, too, considering Beats controls around half of the $1 billion US headphone market. These same insiders also say HTC is planning on slashing its handset prices (upcoming and existing) across the board in order to improve sales, so we'll see if that rumor pans out. HTC, whose stock value has plummeted from its peak in early 2011, is trying to reinvigorate its faltering growth, and cutting out useless technology licensing agreements like this one are a clear step in the right direction. Let's hope they actually go through with it.